Bitcoin enables users to do a multitude of things, one of which is remitting money overseas quickly and at a low cost. This capability is why Bitcoin currently has the most potential in emerging markets, where impoverished and unbanked people rely heavily on remittances from family members in other countries. BuyBitcoin.ph, a Bitcoin exchange platform for citizens in the Philippines, hopes to take advantage of this potential. 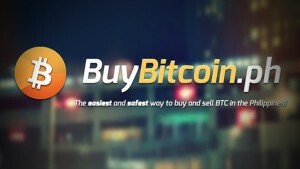 Since January of 2014, BuyBitcoin.ph has been offering their exchange services to citizens in the Philippines. However, this company is not just a regular online exchange platform — BuyBitcoin.ph served as the country’s first “peso to BTC over-the-counter exchange,” giving customers direct access to buying and selling bitcoins. BuyBitcoin.ph was originally founded by four like-minded people: Sam Kaddoura, James Florentino, Lasse Birk Olesen and Dan Walton. These entrepreneurs joined forces to bring Bitcoin to one of the countries that could benefit from the technology the most. And because the current money remittance options for Filipinos are ridiculously expensive — with fees running into double digits — having the option to use bitcoin to cheaply convert foreign exchange into local currency will certainly be an invaluable tool. This service will allow BuyBitcoin.ph to position itself to become the primary vehicle for Bitcoin adoption in the Philippines. By giving Filipinos the option of not just buying and selling Bitcoin as an investment, but also as a way to counter high remittance fees, BuyBitcoin.ph has the potential to become a major player in the Filipino economy. 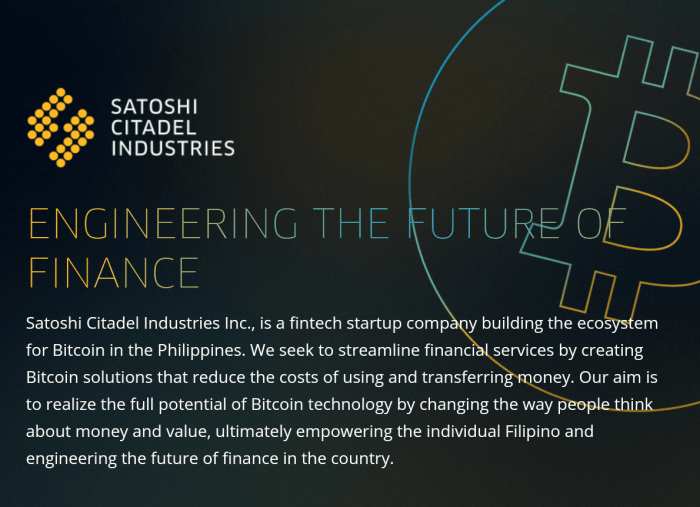 This potential has not gone by unnoticed; Satoshi Citadel Industries recently acquired BuyBitcoin.ph, hoping to capitalize on this opportunity for spreading Bitcoin use. 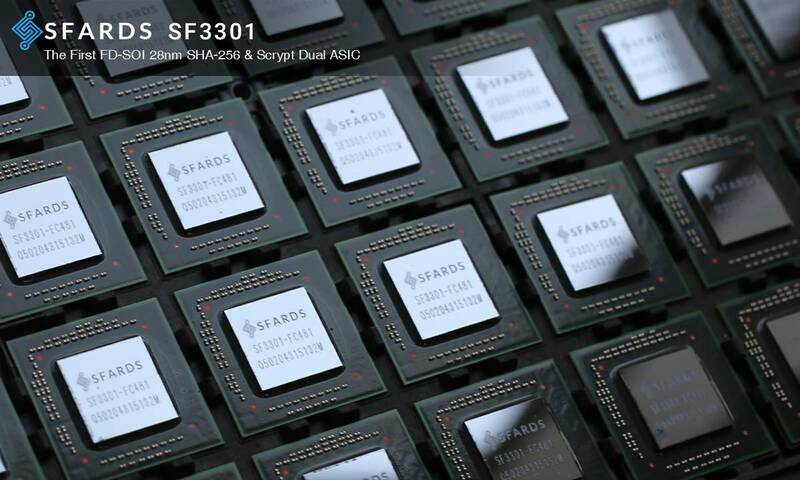 The name Satoshi Citadel Industries [also referenced to as SCI] may not ring a bell for most of our readers, but some of the company’s subsidiaries probably will. Rebit, SCI’s remittance service, made a few headlines in 2014. With Rebit, all it takes to remit funds is filling out a form to indicate the amount of money you want to send and to whom, and choosing a delivery option. This process can anywhere take between a few minutes and 36 hours, depending on personal preference and needs. BitMarket.ph is another service offered under the SCI umbrella, which acts as a payment processing service for Bitcoin. Bitmarket.ph is a great solution for retailers — both in the online and offline spaces — to accept Bitcoin payments at 0% fees, and have the order amount converted to local currency and paid out the next business day. 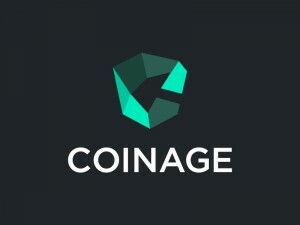 Last but not least, there is a service called Coinage, which acts as an order-book exchange. This is not just your average Bitcoin exchange either, as they promise liquidity at all times, backed by a secure and fast server. On top of that, there is only a 1% fee per transaction when using this platform, making it attractive to investors and traders. And that brings us to what may very well be the most interesting aspect of this acquisition. Sam Kaddoura will join the Satoshi Citadel Industries team as its Chief Financial Officer. With a strong background in corporate finance and banking, Kaddoura will be a valuable asset to bridge the gap between traditional financial infrastructure and Bitcoin in the Philippines. Furthermore, James Florentino will stay at the helm of BuyBitcoin.ph’s day-to-day operations in his role as Head of Product. Lasse Birk Olesen will be the European relations officer for BuyBitcoin.ph and their European partners. The position of Daniel Walton as CTO and Co-Founder remains unchanged for the time being. What do you think about this acquisition? Let us know in the comments below!